Join Martha Eddy, author of Mindful Movement: The Evolution of the Somatic Arts and Conscious Action, in discussing the dawning of the age of somatics. She has been fortunate to experience the direct teaching of some of those whom she has dubbed the “first generation of somatic movement education”: Irmgard Bartenieff, Charlotte Selver and Moshe Feldenkrais, and then with Bonnie Bainbridge Cohen, Emilie Conrad, Ruthy Alon and Joan Skinner. From these experiences she was motivated to do more research, interviewing dozens of people. Learn about her intergenerational mapping of the field of somatic movement and how it spirals downward to examine the roots of the work from around the world–east and west. 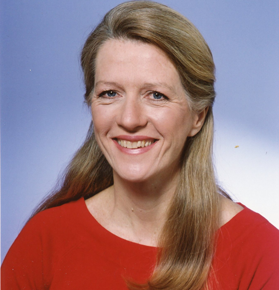 Martha Eddy is a Registered Somatic Movement Therapist, Teacher of Body-Mind Centering® and a Certified Movement Analyst with a Doctorate in Movement Science. She has served on the faculty at various universities such as Columbia, Empire State College/SUNY, NYU and Princeton. She founded the non-profit organization Moving For Life as well as the somatic movement therapy training Dynamic Embodiment. Martha is a passionate advocate for health through somatic awareness and active embodiment, with a lifelong commitment to the art of dance.